It’s funny oftentimes when I talk with my clients about their food choices and what they’re eating, they will often mention foods they think are healthy, not knowing what’s hidden in the label. They are typically snacks that have hidden sugars in them. And the main culprit is fructose, also known as: ‘high corn fructose syrup. Its also hidden in sugar (sugar is equal parts glucose and fructose). What many people don’t realize is that fructose gets metabolized to fat far more quickly than any other sugar and gets converted to adipose fat if it doesn’t get used right away. -Higher Triglyceride levels (higher LDL cholesterol or ‘bad’ cholesterol levels), and lower HDL or ‘healthy’ cholesterol level. 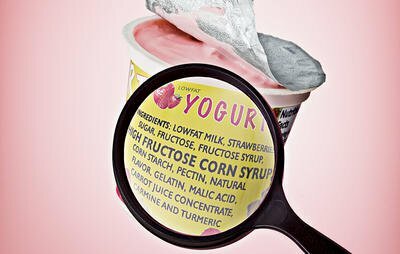 The bread used for sandwiches, wraps for that ‘healthy’ chicken salad wrap, trail mix snacks, etc all have fructose in them. And like with anything, things in moderation are fine, but if you’re consuming more than you think, then you’re at risk. Studies show Diabetes is 4x more prevalent now than it was 40 years ago. The average American consumes 70 grams/day, but 25% will get up to 130 grams/day. As a point of reference, fruit has an average of 8 grams whereas a can of pop has 25 grams. Its recommended that the average person aim for 25 grams/day which doesn’t have to be hard if you stay away from packaged foods and don’t eat more than 2 fruits/day. The next time you go grocery shopping, read the labels and see if there are sugars in the product: glucose, fructose, HCFS, sugar, cane sugar, sucrose, barley malt, molasses, dextrose, maltose, etc. Not all of these sugars have fructose in them, but too much glucose isn’t good for you either. It’s all about balance and moderation.